In the first instalment of a new monthly column, Sam Wilson of African Blues 7-piece Sifaka rounds up all that Leeds culture has to offer this month. 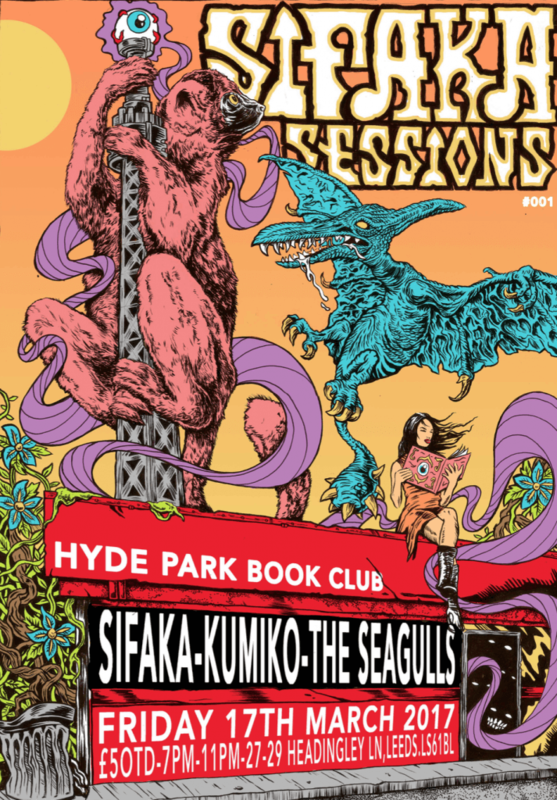 We’re excited to announce the launch of the Sifaka Sessions on St Paddy’s day 17th March at Hyde Park Book Club. The Sifaka Sessions is a new monthly night designed to host the best bands and solo artists from Leeds and beyond. We’ve been digging up the best bands from across the North, and we want to bring them together, every month, in a night of amazing, eclectic music right in the heart of Hyde Park. The music we’ve chosen reflects the range of music we love as a band, so there will be rock, blues, soul, African music, and more. The first session, Sifaka Sessions #001: St Paddy’s, will be launched on March 17th, featuring the unique Kumiko, who fuse jazz, indie slackness, and folk with thoughtful, dreamy vocals, and The Seagulls, whose exceptional songwriting and catchy hooks combine with their instantly recognizable sound, known as ‘Tropical Rock’. We will headline the night. 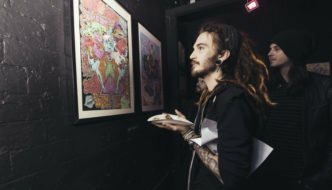 This month we’ve been blown away by the work of Bobbi Abbey, Leeds-based artist and part of the Snake Oil artists collective. 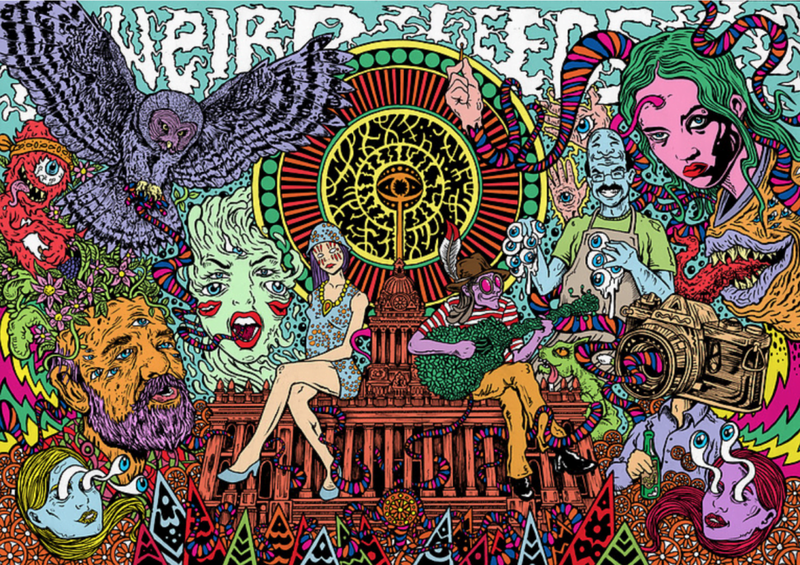 Psychedelic, grotesque, graphic, and overflowing with imagination Bobbi’s work is unique and striking. To find out more visit www.bobbiabbey.com. We were mesmerised by Aziza Brahim at the Howard Assembly Rooms at the end of January, read Sam’s interview with her here. Then we kicked off February gigging at Resonance Full Moon Festival at Beaverworks—5 rooms of psychedelic art, hip hop, reggae, folk, and blues bands, trance DJ’s theatre and dance performance. Look out for future events by the Resonance Art and Music Community. Hyde Park Book Club launched its new Bottle Shop with a rocking night of music from Engine, Sifaka, DJ Lubi, and Ayana. And we caught the charismatic Seagulls at the 360 Club bringing the house down with their fierce bluesy energy and stage presence, and recently got to play a little blues set with Wordy at Smokestack. If you have any events you would like us to feature drop us a message: sifakaband@gmail.com. 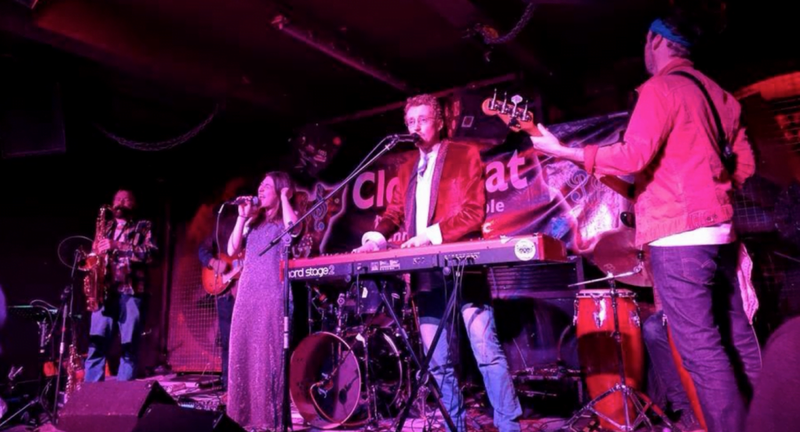 Sifaka is a 7-piece band from Leeds, setting stages alight with their fusion of Soul, Rock and African Blues. In 2016, following a string of UK Festivals, Sifaka’s EP Launch was covered in the New York Times and named BBC Introducing’s Gig of the Week. Growing up on the music of Jimi Hendrix, Led Zeppelin and Pink Floyd, now they believe the spirit and sound of the blues is to be found where it first came from: Africa. Found out more on their website and facebook. We’ve been digging up the best bands from across the North, and we want to bring them together, every month, in a night of amazing, eclectic music right in the heart of Hyde Park. This month’s featured artist... Bobbi Abbey. We were mesmerised by Aziza Brahim at the Howard Assembly Rooms.